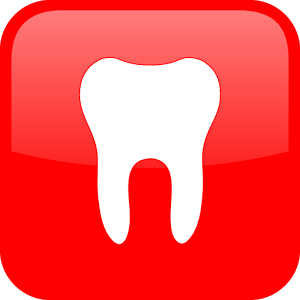 The tooth is displaced axially into the alveolar bone. It is immobile and percussion may give a high, metallic (ankylotic) sound. Sensibility tests will likely give negative results. The periodontal ligament space may be absent from all or part of the root. The cemento-enamel junction is located more apically in the intruded tooth than in adjacent non-injured teeth, at times even apical to the marginal bone level. If no movement within few weeks, initiate orthodontic repositioning. If the tooth is intruded more than 7 mm, reposition surgically or orthodontically. 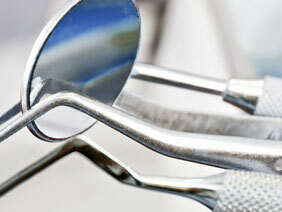 Allow eruption without intervention if the tooth is intruded less than 3 mm. If no movement after 2-4 weeks, reposition surgically or orthodontically before ankylosis can develop. If the tooth is intruded 3-7 mm, reposition surgically or orthodontically. If the tooth is intruded beyond 7 mm, reposition surgically. The pulp will likely become necrotic in teeth with complete root formation. Root canal therapy using a temporary filling with calcium hydroxide is recommended and treatment should begin 2-3 weeks after repositioning. Once an intruded tooth has been repositioned surgically or orthodontically, stabilize with a flexible splint for 4 weeks. 2 weeks – Clinical and radiographic examination. 4 weeks – Splint removal, clinical and radiographic examination. Yearly for 5 years – Clinical and radiographic examination.